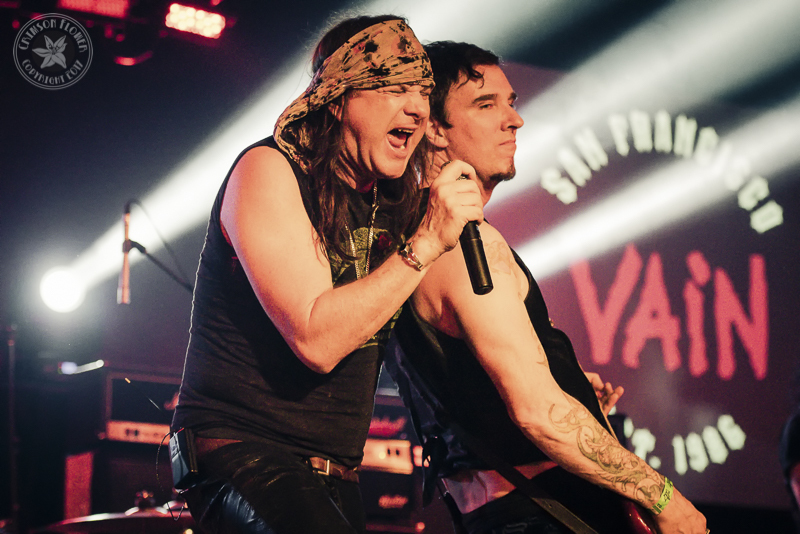 On a rainy night in late January, Slaughter and Vain handed us all a “Love Drug” with amazing performances at a new Rock club in Santa Rosa, CA called The Rock Star University (House of Rock). 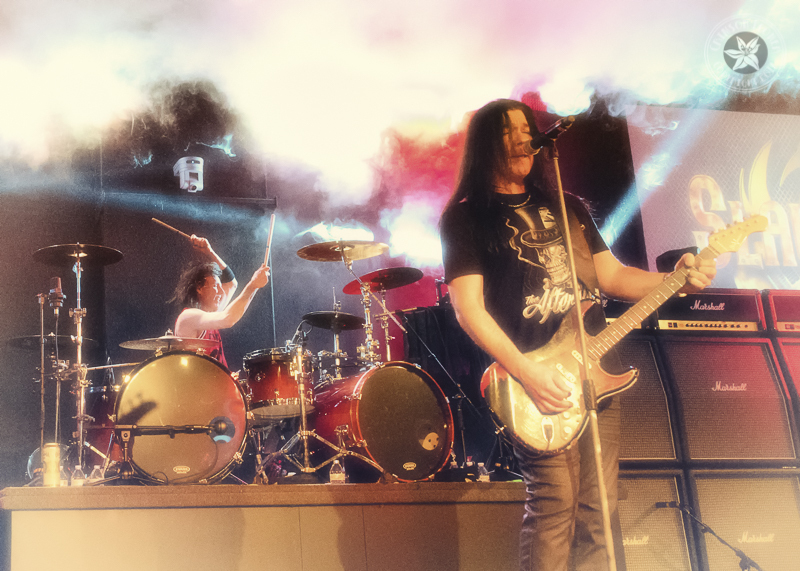 Mark Slaughter and company hit the stage with solid enthusiasm and took us all for a one heck of a wild ride. From the looks of it, Drummer Zoltan Chaney and bassist Dana Strum were competing for audience share, while running down the back beat with an incomparable hard rockin’ style. Chaney’s drumming is difficult describe without using words like crazy, athletic, manic, yet effective. 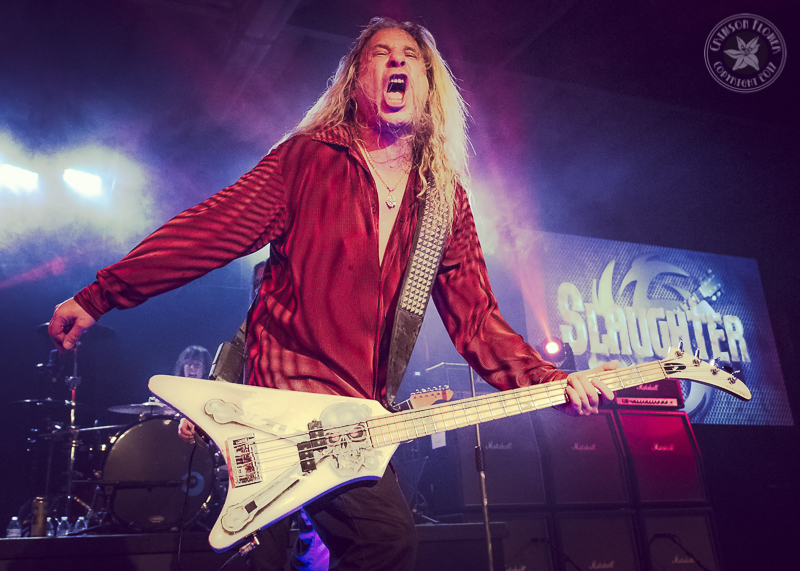 Since joining the band in 2011, his double trick stick style has brought the show to a new level, and Dana Strum’s bass style and audience play has been a staple since he co-founded Slaughter with Mark in 1988. They played all the hits from their premier hit album circa 1990 – Stick it To Ya, and then some. Songs like “Spend My Life,” “Mad About You,” and “Fly to the Angels” brought Slaughter into the spotlight in the early 90s, and earned this album double platinum status. 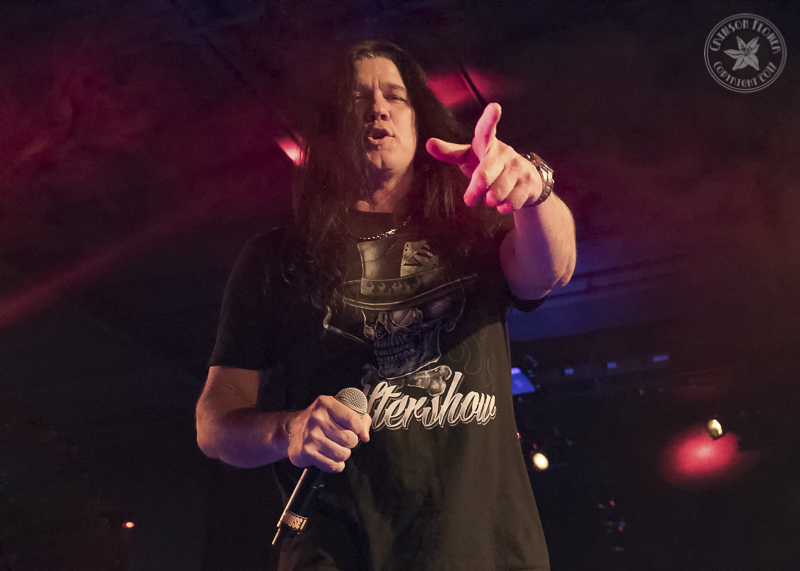 Mark Slaughter rounded out their set by serenading the audience up close and personal with their song “Real Love” and providing photo opportunities for their fans as he perused the main floor. 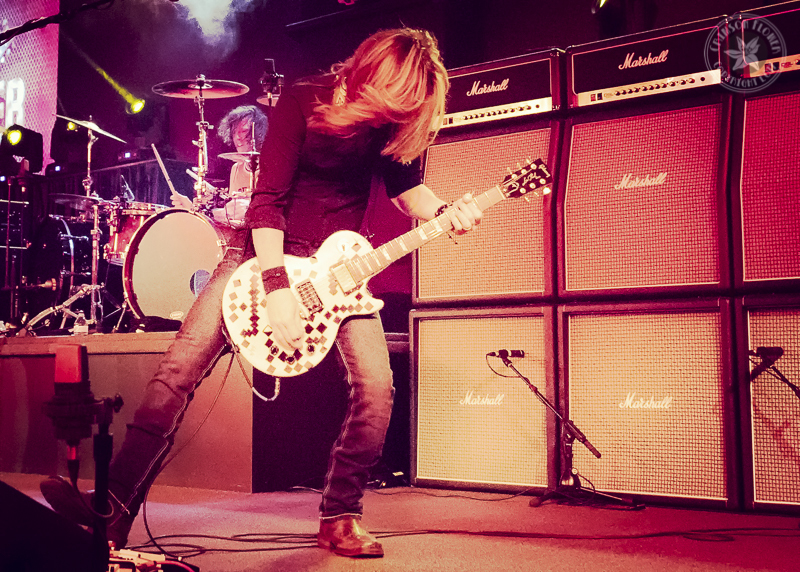 Before Slaughter hit the stage, hometown Rock & Roll heroes Vain ignited the stage and crowd. A little more than 28 years after the inception of the band, sporting 4/5ths of their original line up, Vain took the stage looking and sounding every bit as enticing as they did in the late 80s. 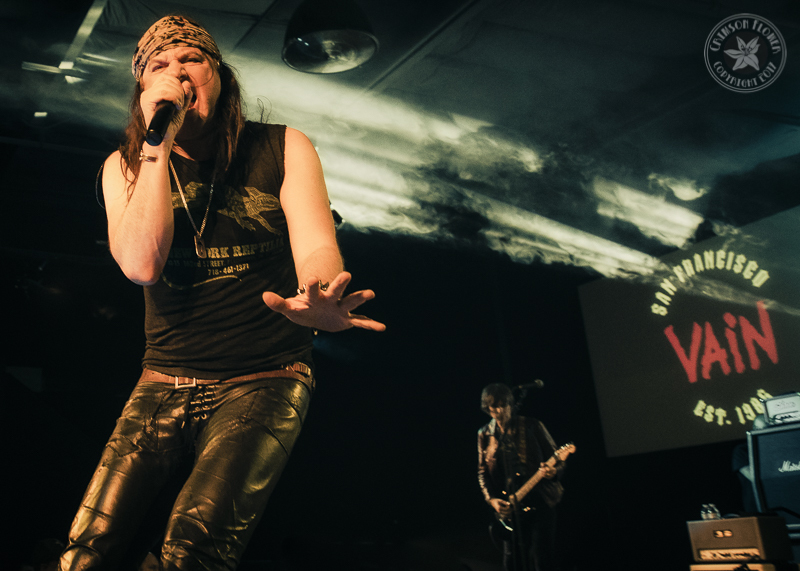 Founding members Davy Vain, Tommy Rickard, Jamie Scott, and Ash Mitchell, along with guest guitarist Joel Proto (Featherwitch), rocked the original songs with the flair and hard-hitting trashiness of yesteryear’s Glam rock scene. This night, Vain cemented a relationship with their original fan base, and gained some new ones, in a dedication that won’t easily sway. The distance from Jimmy’s Towing HQ in Santa Rosa, CA to the cover of Kerrang! magazine was drawn in cheap red rock n roll lipstick, and smeared on heavily by glam rock in the late 80’s. This particular shade of red, however, was exclusive to the locally spawned pioneers known as Vain. 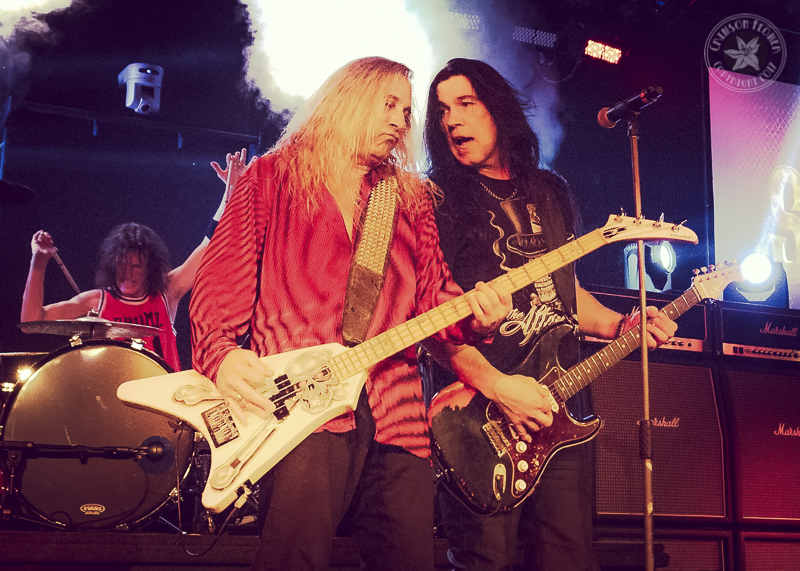 Formed in 1986 by Davy Vain, then a record producer, Vain pulled together bassist Ash Mitchell, drummer Tommy Rickard, and guitarists Jamie Scott and Danny West to complete his line-up. For years, this group treaded heavily on the roadways between San Francisco and Los Angeles. The band organically grew their fan base through years of solid hard work, and in 1988 Vain landed their first record contract with Island Records, and put out No Respect. 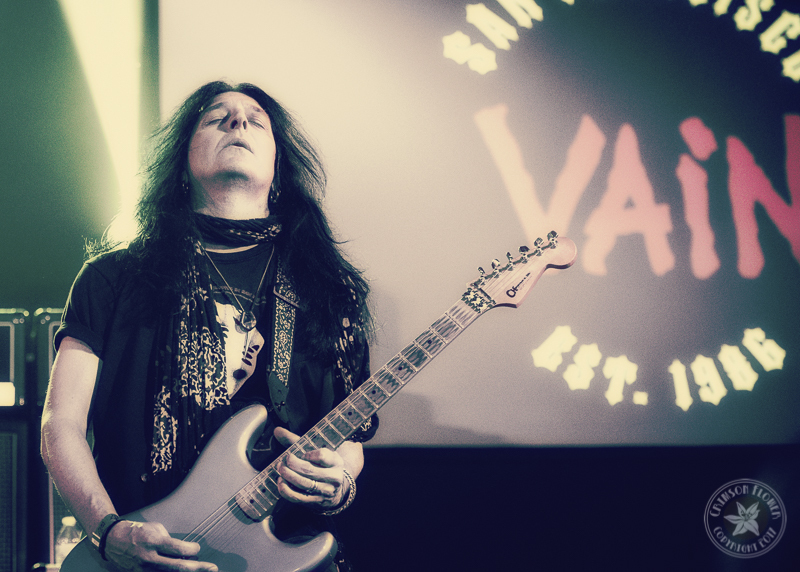 Soon after they toured the U.S. in support of the album, and opened for Skid Row on their tour through the U.K.
Two decades and nine years had passed since guitarist Jamie Scott picked up his axe in his hometown of Santa Rosa to riff with Vain. His intense, enthusiastic smile complementing his groove onstage that night, and the leads were tonal gold. In fact, there was more than one original member smiling! Tommy Rickard’s nostalgic tempo set the tone for an occasional ear-to-ear grin as well. Davy Vain’s barefooted performance showcased his vocal ability in stellar form, proving that there’s still plenty of sultry “Icy” running through his veins. This was also only the third performance in recent years with the core original members; which included dates in Hollywood and Vegas earlier in January. As for future Vain shows in the bay area, the boys are keeping pretty tight-lipped about plans in a local sense, but this summer Davy Vain will be heading to Germany and the UK for some dates and festival appearances. 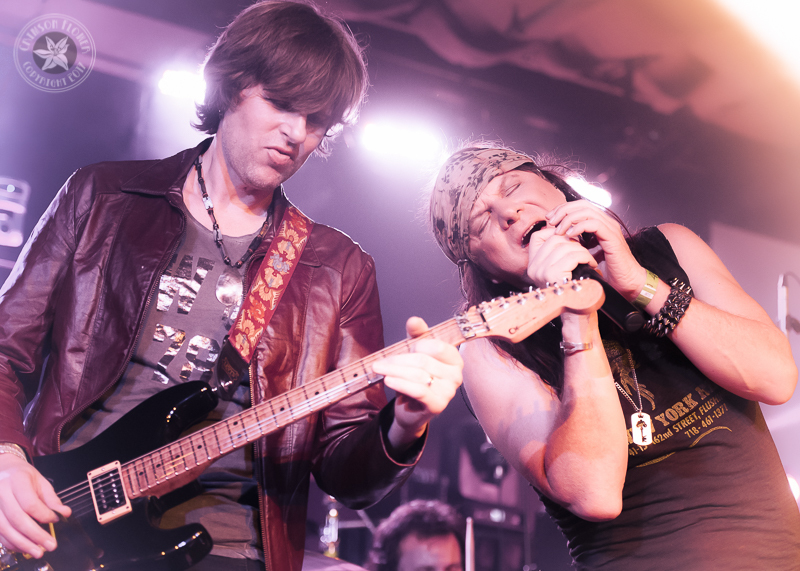 Vain is scheduled to appear at the M3 Festival in Maryland in April, alongside acts such as the reunited Ratt, Cinderella’s Tom Keifer, Kix, Dokken, and many more. Rock Star University (House of Rock) in Santa Rosa, CA serves up a truly top notch club experience that hosts a ton of favorite hard rock bands. 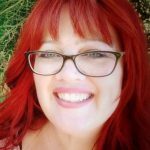 Their service, security, and environment are geared to make the patron feel they’ve stepped into a rock star’s home studio, complete with authentic rock memorabilia. Rock Star University is like an off-site museum with signed photography, instruments, you name it! Since the venue opened in 2016 they have brought acts such as Blue Oyster Cult, Dokken, Lita Ford, The Bullet Boys, and Winger to their prestigious cat-walked stage. The Rock Star University complex was built in 2012 as a multi-million dollar music school, studio and [later]a rock venue. The interior is incredible at this venue; leather VIP seating, professional lighting, great sound, and from the General Admission floor, one can see the Green Room encased in floor length glass windows. Local owner, chiropractor and entrepreneur Ignatious Anthony Piazza was looking for a way to give his twin 13-year-old sons Vincenzo (drummer and singer) and guitarist Vittorio, a safe way to gain professional-level know-how without the grittiness of touring. Vincenzo and Vittorio perform as an opening act occasionally, appropriately named V2 (VSquared). On February 18th, V2 is hosting an annual Fan Appreciation Concert with host Eddie Trunk (That Metal Show) and all-female Mötley Crüe tribute, band Crüella as openers. The staff at this venue is extremely friendly. Manager Freddie Salem greets his guests with a hand shake, and engages them as they are leaving to insure that every guest receives the treatment they deserve with a smile. He truly makes everyone feel at home. Set List : Wildlife | Burning Bridges | Take Me Away | Spend My Life | Mad About You | Eye to Eye | Livin Inside | Real Love | Fly to the Angels | Up All Night. Find out more about Slaughter here. Set List: Secrets | Love Drug | Greener | Icy | Down for 3rd Time | Quickstep to Love | 1000 Degrees | Watching You | No Respect | Beat the Bullet. For more information about Vain, check out their Facebook page.